Win a battle with at least eight units on each side. Win a battle with at least sixteen units on each side. Win a total of one thousand battles. Kill one thousand enemy soldiers in one game. Kill three thousand enemy soldiers in one game. Capture a city with a rammed earth or brick wall. Upgrade a copper, gold or jade scrape to a mine. Win a naval battle with at least four ships per side. Build a Famous Legalist School. Build a Famous Buddhist Temple. Upgrade a settlement to a large city. Have thirty different encounters in one game. Have three other factions as vassals. Conquer a settlement that has rebelled against you. Conquer ten settlements controlled by peasant rebels in one game. Win the Grand Campaign scenario by a cultural victory using any faction. Win the Grand Campaign scenario by a Son of Heaven victory using any faction. Win the Grand Campaign scenario by a conquest victory using any farming faction. Win the Grand Campaign scenario by a conquest victory using any herding faction. Win three games of any type. Recruit fifty cavalry units in one game. Win the Grand Campaign scenario with every faction. Control a Famous Taoist Temple, a Famous Buddhist Temple, a Famous Confucian Temple, A Famous Legalist School, and a Famous Mohist School at the same time. Win the Warring States scenario. Win a cultural victory in the Warring States scenario playing Lu. Win a conquest victory in the Warring States scenario playing Qin. Put four terror skulls on an enemy city. Move the location of a horde settlement. Win the Life of Genghis Khan scenario with a conquest victory. Win a conquest victory in the Time of the Mongols scenario using a Christian faction. 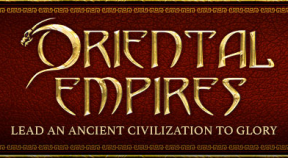 Win a cultural victory in the Time of the Mongols scenario playing Xi Xia and having at least 5 Famous Buddhist Temples. Win a conquest victory in the Time of the Mongols scenario using a Muslim faction. Win a cultural victory in the Time of the Mongols scenario playing a Muslim faction and having at least 5 Great Mosques. Win the Time of the Mongols scenario.